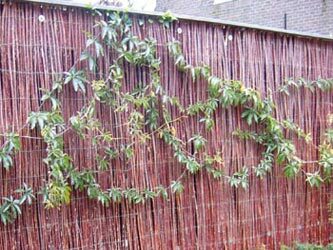 Willow rolls are the perfect way to screen and hide unsightly parts of the garden. Brick walls, dustbins and even old fences can all be disguised behind the natural tones and contours of a screen. Rolls can be attached directly to fence etc or can be erected with posts.